IAN HOOTON/SCIENCE PHOTO LIBRARY/Getty Images. There has been some increased interest in acupuncture during pregnancy, as some doctors have claimed that the ancient practice can help improve fertility in couples looking to conceive or that it can help alleviate common pregnancy ailments such as nausea, vomiting, and headaches caused by hormone changes. Other doctors and healthcare providers have been recommending acupuncture as a way to provide pain relief during and after childbirth, and as a strategy for decreasing opioid use. If you're pregnant and interested in trying acupuncture, you may have concerns about its safety. Acupuncture during pregnancy has not been thoroughly studied, so it is challenging to say with 100 percent certainty whether acupuncture during pregnancy is safe or effective. Additionally, not all the claims about its benefits are supported by science. Knowing what acupuncture may or may not help with can help avoid disappointment if you do choose to try it. A 2013 review by Medical Acupuncture revealed that anywhere from 4 to 13 percent of European women use acupuncture during their pregnancies. They did not have exact numbers for American women but noted that acupuncture use, in general, was rising in the United States. The researchers theorized that pregnant women would be part of that growing population. In general, acupuncture is used primarily as alternative medicine and is not part of Western medicine, although some studies have shown promising results for its effectiveness in pain relief. It's also reported to help discomfort from arthritis, migraines, and headaches, and even improve skin appearance by improving circulation and tightening facial muscles. Acupuncture for pain relief during labor and after surgery (C-section) is one of the most commonly cited uses, especially because healthcare providers are looking for alternatives to opioids. New mothers are at higher risk for addiction after being prescribed opioid painkillers for pregnancy-related pain. The American College of Obstetricians and Gynecologists' most recent report on labor and birth management mentions acupuncture as one of several documented strategies that may help manage pain during labor. But, the report also notes that there haven't been enough studies done to definitively conclude that acupuncture should be recommended. The 2013 review found that acupuncture was effective for relieving nausea associated with analgesia from C-sections, so it has many uses for relieving symptoms, even in a hospital setting. Acupuncture may also be helpful for women who suffer from severe nausea or vomiting during their pregnancies, especially if they want to avoid medication as a remedy. In at least two cases in the review, acupuncture was used successfully as a way to induce labor without any medication. This was in mothers who were full-term and had been recommended for labor initiation. Acupuncture has also been said to be helpful in correcting a baby who is in a breech position, to turn the head down to be ready for delivery. One of the most largely-respected and widely-cited reviews on acupuncture during pregnancy concluded that the practice is beneficial in relieving pelvic pain and low back pain associated with pregnancy. Acupuncture has been associated with relieving symptoms of depression during pregnancy. This may be especially important to note since, unlike antidepressants or other medication commonly used to try to treat depression, acupuncture has no known potential risks to the unborn fetus. Although acupuncture has been associated with helping women conceive, especially when used with IVF, a 2018 study by the Journal of the American Medical Association concluded that there is no proof that acupuncture increases the incidence of live births in women who are using IVF to get pregnant. However, the study noted that many acupuncture recipients did report feeling more relaxed and less stressed with acupuncture, which is helpful when undergoing IVF, so the practice shouldn't be completely ruled out for use when trying to conceive. Any practice that is safe and could help a mother relax more when trying to conceive can be a helpful adjunct to staying healthy. Acupuncture has a very low risk of negative effects. The most commonly reported adverse reactions include soreness at the needle site, local bruising, weakness, fatigue, sweating, and nausea. According to a 2013 review, there is only one documented case of negative effects of acupuncture during pregnancy and it was related to injury as a result of asthma complications. The baby was unaffected and delivered healthy and full-term. Where acupuncture is administered may be important to consider. The review mentioned that there is some concern from the ACOG about some acupuncture points causing premature labor, especially if used before a woman is full-term in her pregnancy. The 2018 JAMA study on IVF and acupuncture also found that there was a higher rate of miscarriage (almost double, in fact) in the group that received acupuncture as compared to the group of women who did not receive acupuncture. The study concluded that the acupuncture may have been administered incorrectly, which could account for the higher miscarriage rates. They also noted that there is an especially high link between the acupuncture points LI4 and SP6 and miscarriage. However, there haven't been any documented cases of acupuncture definitively causing premature labor or miscarriage, so it is just a general recommendation to avoid the practice during your first trimester. There are also some obvious risks of acupuncture, during pregnancy and otherwise, if you choose a practitioner who is not certified or one who does not follow proper safety protocols when using needles. A risk of blood-borne disease transmission, such as HIV, is always a risk when working with needles in the human body. It's also worth mentioning that not all acupuncture practices are built exactly the same. 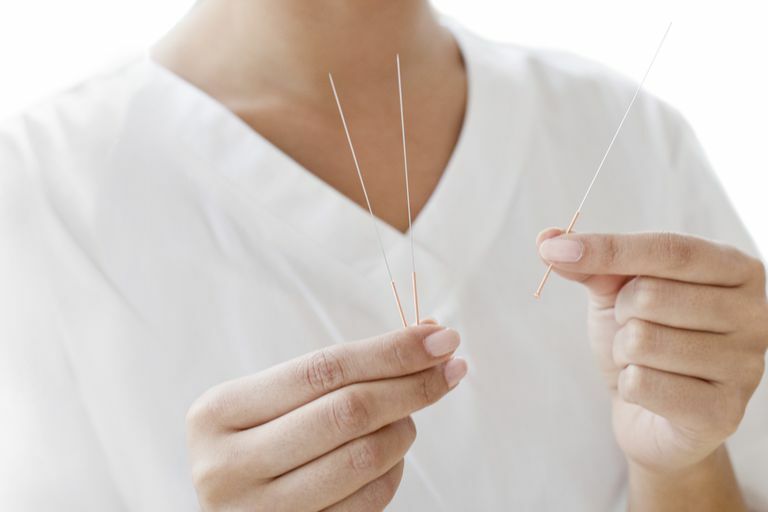 There are some imitation-type acupuncture practices that use incorrect needles or different-sized needles that are not true to traditional acupuncture form and practice, which could be associated with more adverse reactions and risks than the traditional practice of acupuncture. While there is some promising evidence to support acupuncture during pregnancy, there isn't enough high-quality evidence for acupuncture to be routinely recommended for pregnant women. However, the risks and costs of acupuncture during pregnancy are very low, so if you are interested in trying the practice to manage your pregnancy symptoms or incorporating acupuncture into your pain relief plan for birth, be sure to speak to your doctor about your options. If you are interested in finding a practitioner who specializes in pregnancy acupuncture, make sure they are licensed and certified with the National Certification Commission for Acupuncture and Oriental Medicine. ACOG. Approaches to Limit Intervention During Labor and Birth. December 2018. Ee CC, Manheimer E, Pirotta MV, White AR. Acupuncture for pelvic and back pain in pregnancy: a systematic review. Am J Obstet Gynecol. 2008;198(3):254-9.